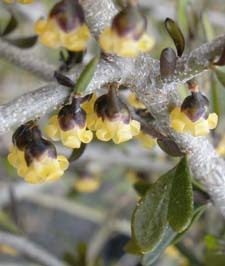 Tasmania has one native species of Melicytus (M. dentatus, known until recently as Hymenanthera dentata). 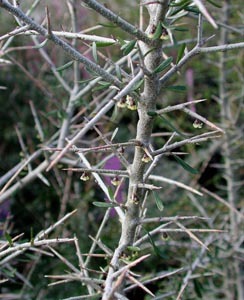 This plant is an often branched shrub with branchlet often ending in thorns. 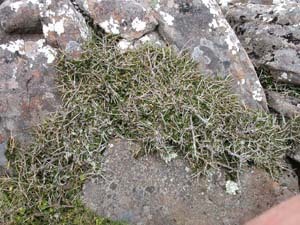 It is usually erect, but prostrate forms can be found in very exposed sites. 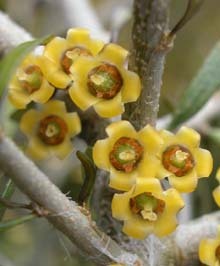 It is common in subalpine and dry areas of northern Tasmania, and occurs sporadically in south-eastern mountains. 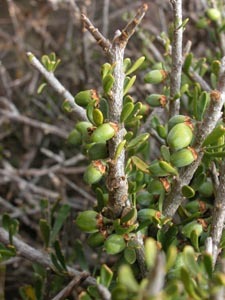 It superficially resemble Coprosma nitida but has alternate leaves.